Puppy teeth and puppy teething is an important part of understanding new puppy care. A symptom of teething is puppy biting and chewing on everything that comes near to them (shoes, toys and more). Understanding how your pup's teeth grow and the mechanism of puppy biting and teething is very important to the overall training of your young dog. Just as with a human baby, your dog's teeth become loose as adult replacements grow in. This can be very uncomfortable, and causes the puppy to want to chew a lot. And when your puppy wants to chew, it doesn't distinguish between toys and your possessions. In fact, most everything in your house (your old shoes, socks, or brief case, table legs, chair legs, or whatever), looks interesting, tastes good and is attractive to your chewing pup! Pups lose their 'baby' teeth between 3 and 7 months of age. At three months, the incisors are replaced; followed at four months by canines and molars. Then by 8 months of age, your dog should generally have a full set of adult teeth. While that will mean that the teething isn't driving your puppy to chew, if it has formed bad habits - or is neglected or left alone and bored for long periods of time - it will still chew! And most often, chew things you don't want your dog to chew. 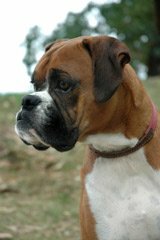 Make sure that you work on dog training and give your dog enough stimulation that it doesn't get into trouble. Puppy teeth can be pretty sharp, and not all of your dogs biting behavior is due to teething. Some of it is taste oriented and some is play oriented. Nipping is a very natural part of a young dogs growth. Its part of how they learn their place in the pack. However, slapping or hitting or yelling at your dog is not the solution. When a dog starts biting inappropriately - stop playing immediately and stop paying attention to your dog. Basically youre putting up a barrier that says - dont do that if you want my attention or engagement. Chew bones are a good alternative for nibbling on shoes and other items you may not wish shredded. Say 'no' firmly, then replace that item with the chew bone. If your dog accepts the bone, praise him or her. Keep this pattern consistent. The only teeth pups have at one month old are their canines. By two months, however, young dogs have 28 teeth. Knowing this can help you determine your puppys age (if unknown) and also help you begin to predict when teeth will start falling out and be replaced. This is important knowledge from a training perspective. You need to recognize what is a behavioral issue vs. one thats caused by a normal process. If you determine that your puppy is teething, give it plenty of time to romp and play. This distracts from any discomfort your pup may feel. Also give it toys that will safely stand up to chewing. You know how they have frozen teething toys for human babies? Well, you can use a carrot as a frozen teething toy for your puppy. Toss it in the freezer and let your pup teethe on it when you notice chewing increasing (particularly on unacceptable items). This will ease discomfort and provides a healthy treat. Puppy teeth, because they fall out so quickly, dont often cause trouble. However, its always good to consult with your vet about good dental hygiene for your dog. 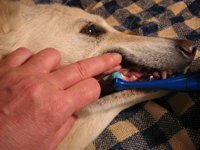 There are ways to brush your dogs teeth at home early on so that you can care for the canines adult teeth yourself (but you need dog-oriented products). 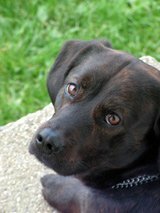 Training your puppy to expect and accept this care will reduce your overall costs as a pet owner in office visits alone. Using a preventative, and brushing your pup's teeth daily, will help your dog maintain good dental health. And puppies will go through teething pain, just like children. To relieve pain for your teething puppy, use a natural remedy from PetAlive: PupTeeth, it naturally relieves pain in teething puppies and promotes healthy dog teething. Return to top of Puppy Teeth.